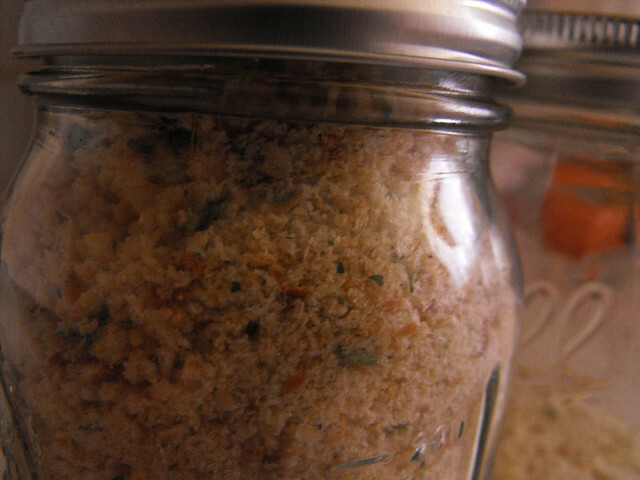 I have always used the store bought breadcrumbs, and don't ask me why, maybe out of habit or maybe because I never thought to make my own? A few months ago, I had a ton of old bread in the house and I just couldn't bring myself to get rid of it, I knew I had to find something to make but honestly how much bread pudding can one person eat?? I decided that it was time to dig out my trusty old food processor and get to work. 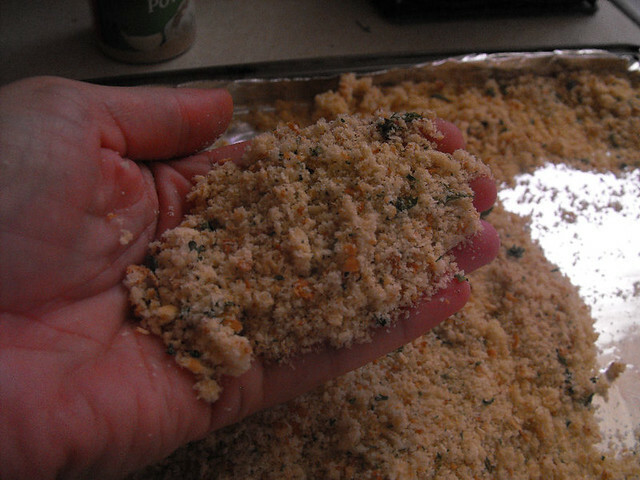 I did think at first that it must be some crazy elaborate way of making breadcrumbs, but after googling a ton of recipes out there, I noticed that there really is nothing to it, and believe me, they are tastier than the stale store bought ones. The good thing is that you can add whatever you want to it, or you can leave them plain, it's up to you. 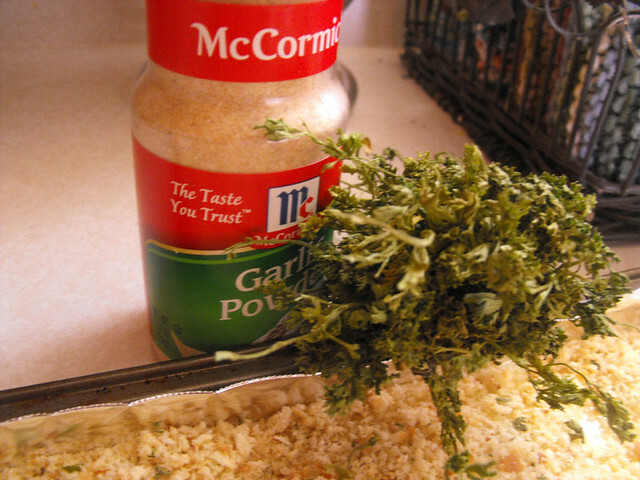 I like adding garlic and parsley to mine, so let me show you quickly how I do it. Stale bread (you can use as much or as little as you have on hand, today I used 4 hotdog buns and was able to fill a pint size jar and still have a little over). 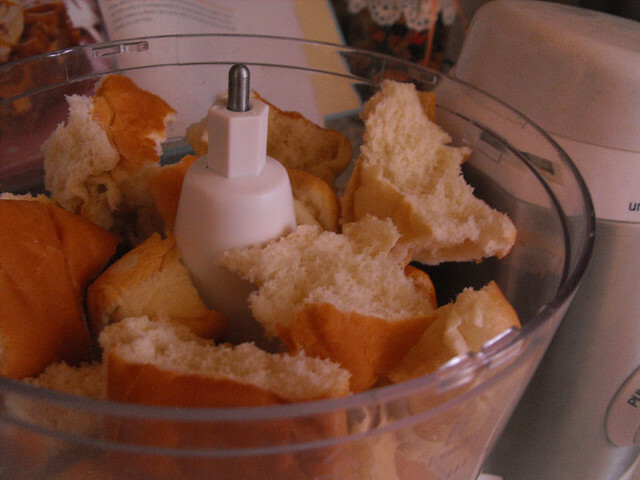 Break the bread into chunks and drop into your food processor. 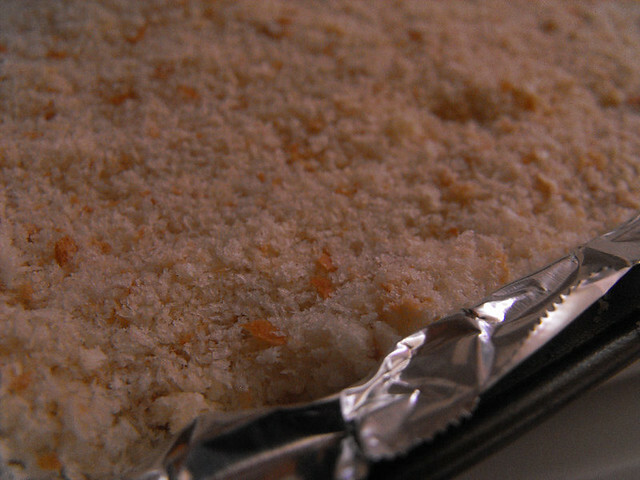 Process for a few minutes or until finely crumbed. Pour them into a baking sheet, no need to grease, spread them out and bake for an hour at 250 degrees F.
Let them cool down a bit, then sprinkle in your garlic powder and your parsley. 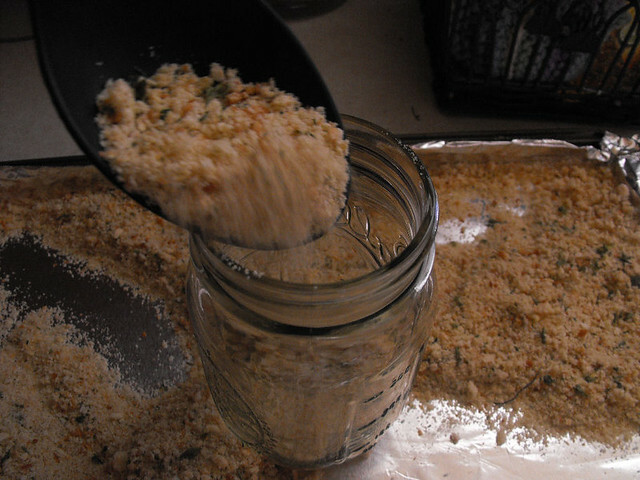 You can also add parmesan cheese or italian seasoning to make Italian Flavored Breadcrumbs. Some people use olive oil, some use butter....I don't add either of those with mine. then pour or spoon into the pint jars. Seal tightly and keep in a cool place. 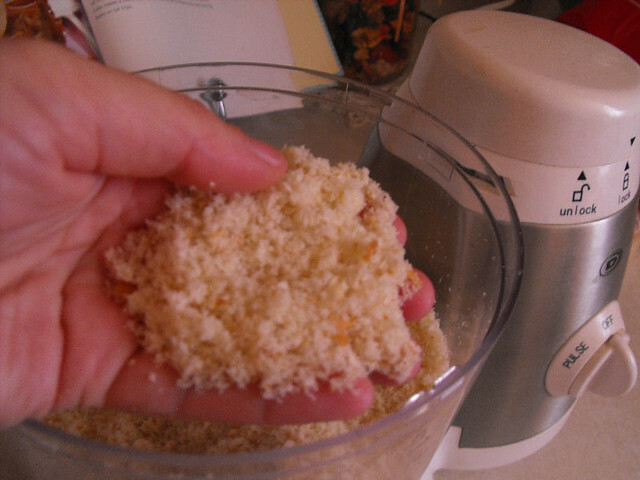 Now go forth, make breadcrumbs not war and NEVER buy store bought again. I've never made my own, but now that I see how easy it is and how pretty they look I will! Yeah!! Thanks for posting this. 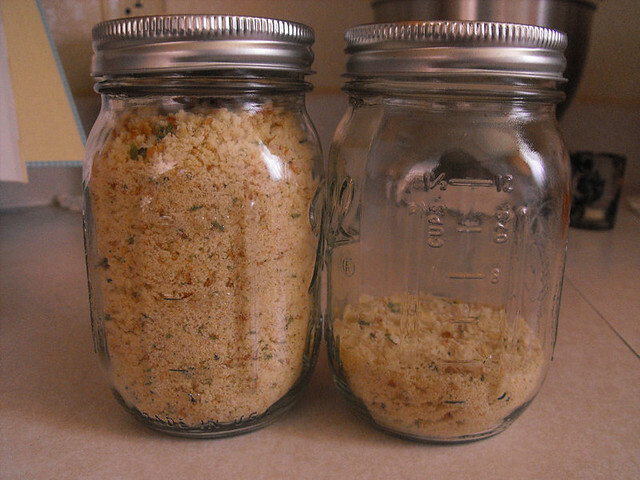 I have 2 pint jars full of bread crumbs now. Wow, you know the thought never crossed my mind and I always end up with extra hot dog or hamburger buns that don't get used up. Now I wont throw them out anymore! Where do you get your pint sized jars? I have been wanting to do this! Thanks for posting easy directions. I have several "heels" in the freezer that would be perfect for this I think. You amaze me every time I visit!